Ok I may have been a bit facetious in my last blog in regard of my view on the impact of Russia and China on the Financial markets. This clearly has come back to haunt me, at least this is what I am being told by the mark to market of my stock portfolio. Despite the ensuing underperformance of global stock markets it is quite interesting to note how resilient the “Index of Fear”, namely the VIX. 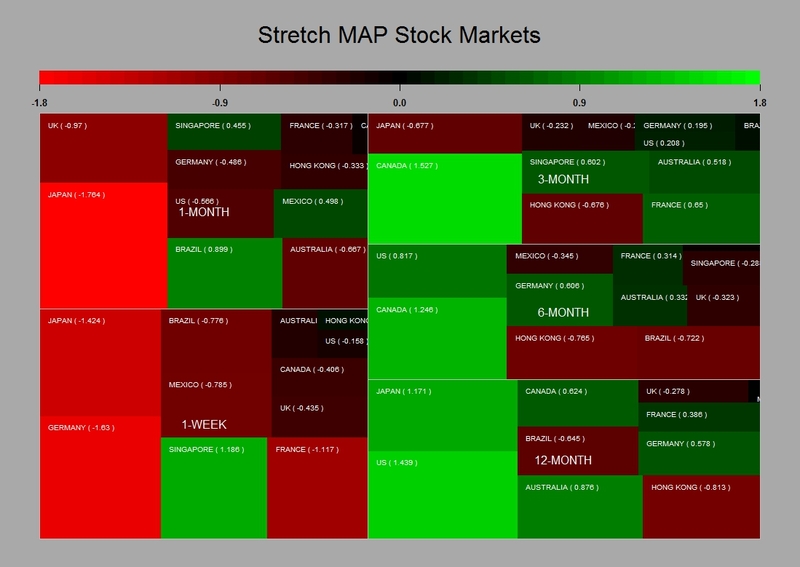 The change in market volatility has been quite tame so far. Maybe this gauge of fear is not what it used to be….It may well be also that the market was somehow over insured against risk. Anyhow my point is that what we are seeing now is not a capitulation or dislocation but rather an orderly adjustment of market portfolio risk by investors. 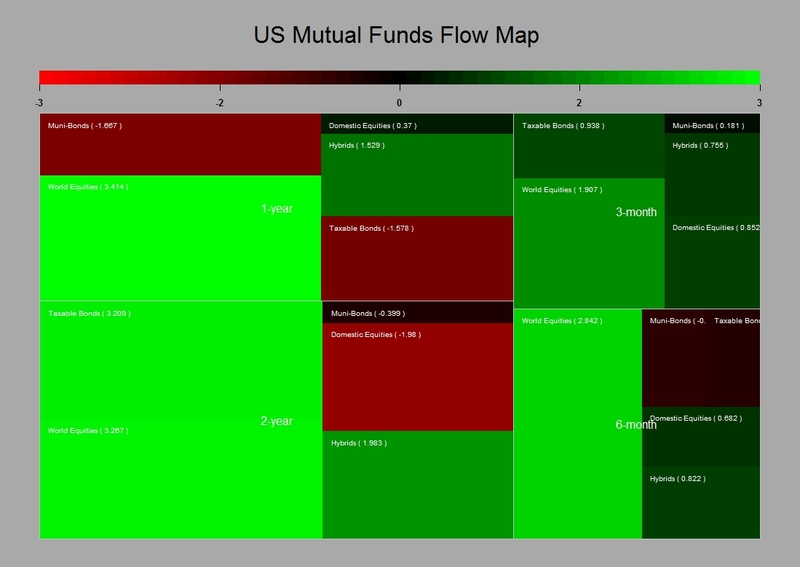 After this more volatile few weeks I though I would look at my favourite data, namely the US mutual funds flow data released by the ICI. Surely the Ukrainian story should have had some implications on investors perception of stock markets and this should be reflected in their investment flows. From what we can see from the below charts, this has had little to no effect so far. 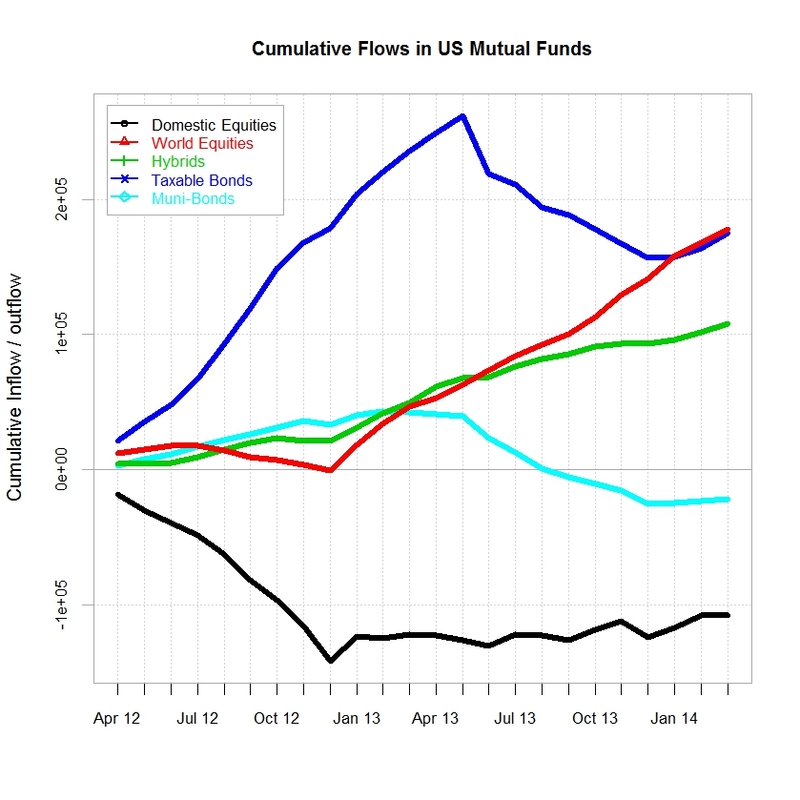 Investors are still buying equity “en masse”, with a preference for international equities. This as I said in past blogs may be one of the factors keeping the lid on a dollar rally as those flows tend to be un-hedged by nature. The only notable difference is the renewed interest in bond products that took place since the investiture of Yellen at the helm of the Fed. Clearly her dovish tone has helped in that respect. However with better numbers across the board coming out from the US, I am not so sure this will be a lasting proposition….I still stick to my view that the global economy is thriving and that equities should therefore be the favourite asset class for the next cycle, and I will therefore bear with the geopolitical noise an pains a bit longer. 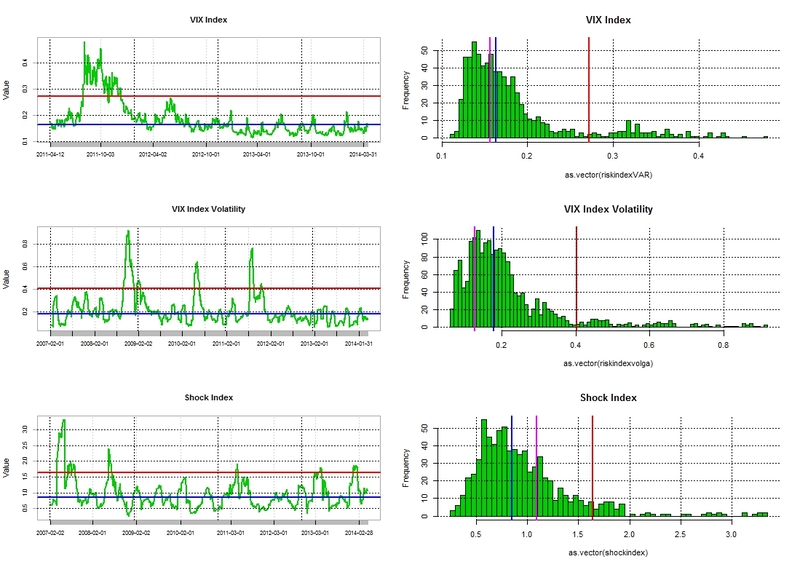 Posted in Asset allocation, Bonds, Market Risk, Stock Market on April 17, 2014 by Pierre.